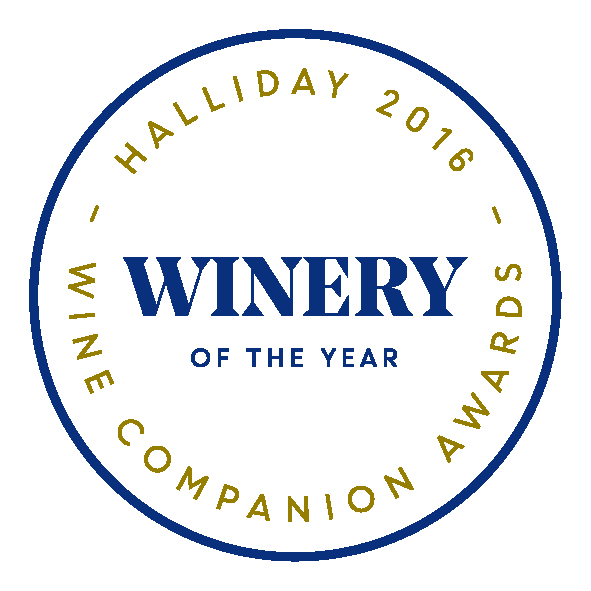 Tahbilk was last night announced as the 2016 Winery of the Year at the James Halliday Wine Companion Awards ceremony in Melbourne. Held at the iconic Melbourne Museum in the presence of the Premier of Victoria Hon. Daniel Andrews, Former Premier of Victoria Jeff Kennett, his wife Felicity, and guests from a broad cross section of Australia’s wine industry, James Halliday presented the award to Alister Purbrick, fourth generation CEO and winemaker of Tahbilk. Alister attended the awards with his artist wife, Rosa. The awards are traditionally held the night before the launch of the James Halliday Australian Wine Companion, Australia’s foremost wine ‘bible’. First awarded in 2009, the award is recognised by the broader wine industry as the ultimate achievement of a life in wine. “When brooding about the selection of Winery of the Year, I recalled that in 1994 the Maurice O’Shea Award had been given to Jacob’s Creek, and in 2002 to the Australian Wine Research Institute, both examples of lateral thinking that (in very different ways) made my choice of Tahbilk seem conventional. 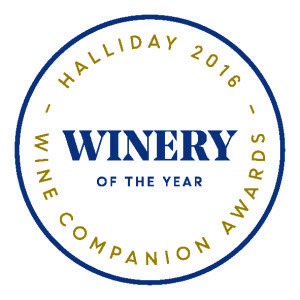 But prior awards for the Companion’s Winery of the Year had been selected by currently available wines as the main criteria. The other two flag bearers are the twin Eric Stevens Purbrick Shiraz and Cabernet Sauvignon wines, the former largely from 80-year-old vines, the latter from vineswith an average age of 40 years. Both these wines are held in bottle for four years,like the 1860 Vines, and released when six years old. These wines are made in a winery that breathes history. The first underground cellar was constructed in 1860; the ‘new’ cellar in 1875, running at right angles to the first; and in 1882 the four-storey tower (still depicted on the labels of Tahbilk’s commercial wines) was built, the first level used for winemaking until the 1940s. The 227 hectares of estate vineyards with 16 varieties are planted on a 1214-hectare property that has a frontage of 11km to the Goulburn River and 8km of permanent backwaters and creeks. The spacious winery restaurant is perched above the river, and overlooks part of a 4km eco walking circuit of paths and boardwalks that wends its way through vegetation and trees full of birdlife, with the option of taking to electricpowered undercover boats for all (30 minutes) or part of the journey.